Mujadara is filled with rich flavors and history and, best of all, costs next to nothing to make. 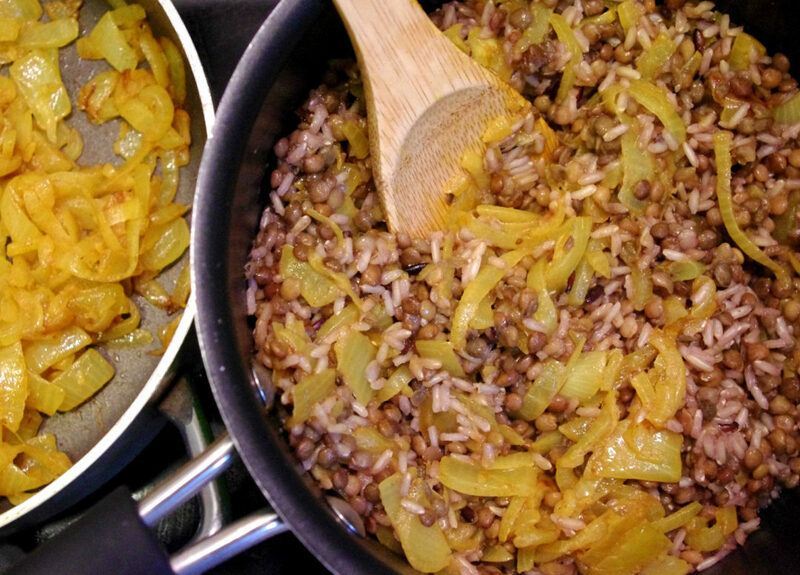 I first discovered mujadara while living in Tel Aviv and promptly decided it was the Arab equivalent of kasha, an eastern European comfort food for many Jews. My favorite restaurant in Tel Aviv, Odelia, is exactly where you’d expect to eat a platter of mujadara; the restaurant itself is small and cozy, and every dish on the menu tastes like it was whipped up by somebody’s grandmother. 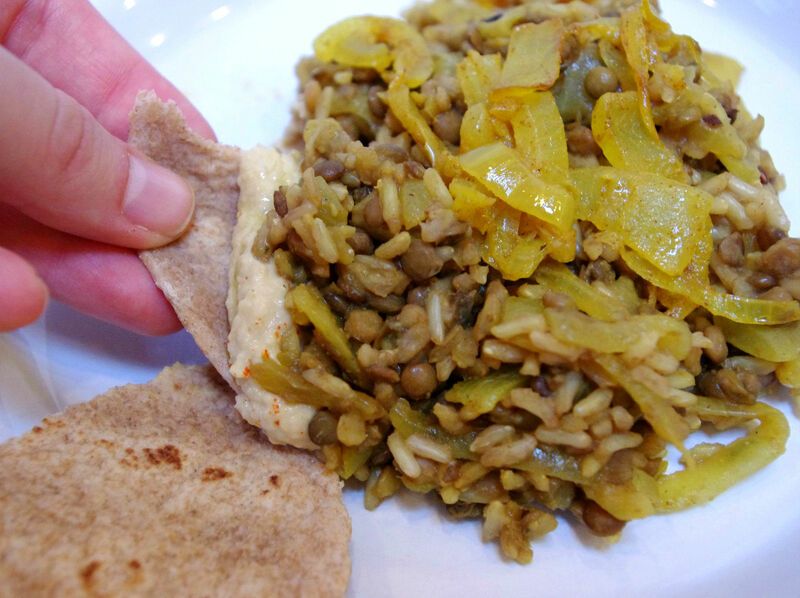 Despite the warm climate, I dropped in often to order a bowl of vegetable soup and pita with hummus – but after discovering the savory combination or rice, lentils, and fried onions, I had a new favorite order: mujadara. 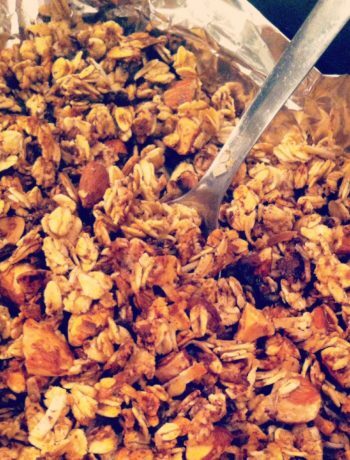 I read through several variations of mujadara recipes online and decided to make the simplest version possible by using a handful of pantry staples and spices. This recipe made enough for five servings. Cook rice according to instructions, subbing in a cup of broth for a cup of water. When the rice has a couple minutes left to cook, and just a bit of liquid remaining, add in the lentils and stir until incorporated. When all of the liquid is absorbed and the rice is cooked, remove from heat. 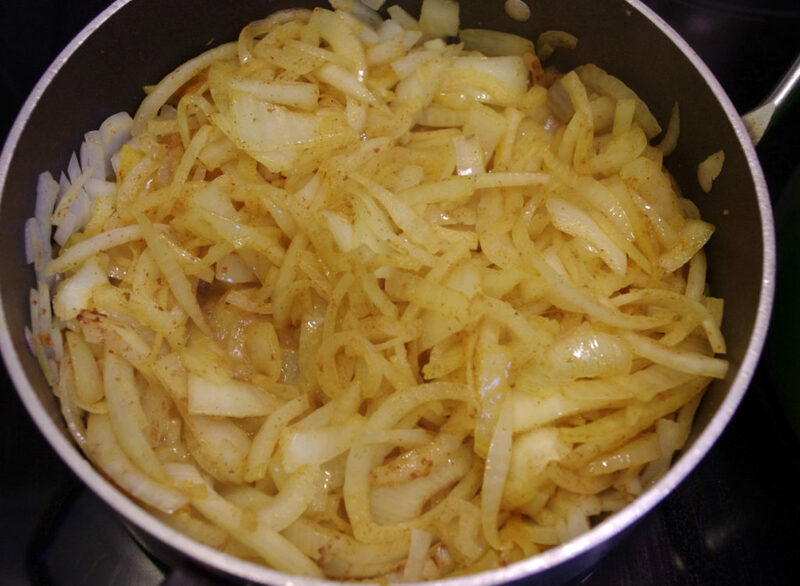 Using a sharp knife, slice the onions into thin slivers. I found that cutting each onion in half first and setting the flat side on the cutting board made the slicing easiest. Place a large pot or saute pan over medium high heat and pour in two tablespoons of olive oil. Let the oil heat, then dump in all of your onions. Stir them in the oil and add in a teaspoon of cumin and a few shakes of salt and cinnamon (and turmeric if you have it). Saute the onions for 10 minutes, or until extra soft and slimy, stirring every minute to ensure the onions don’t burn (although a little bit of brown here and there is good). Add 3/4 of the sauteed onions into the rice mixture and stir thoroughly. 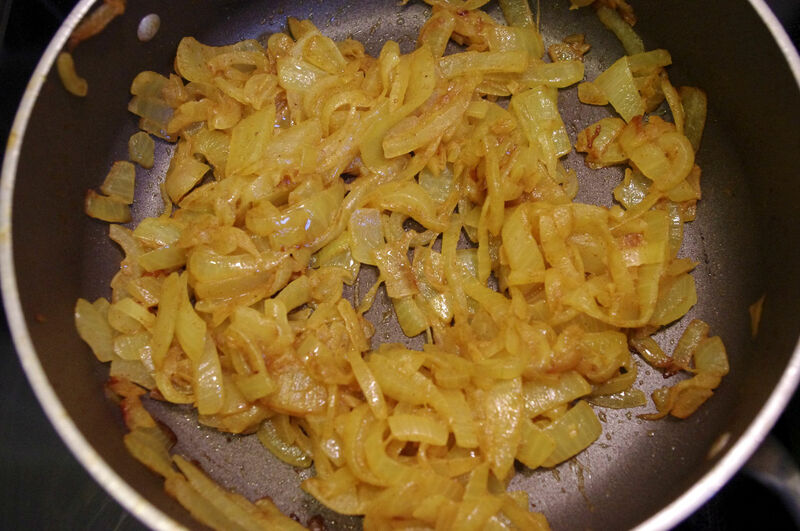 The last bit of onions should be used as garnish. Taste the mujadara and add any additional salt or spices as desired. Feel free to vary the recipe by incorporating additional vegetables and beans – I happened to be making hummus and used some extra chickpeas in the mujadara as well. One of my favorites! 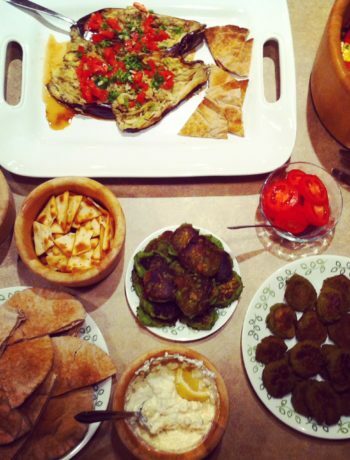 We will have to go for an Israeli/Arab feast when you’re in the big apple! Enjoy! Let me know how it goes. 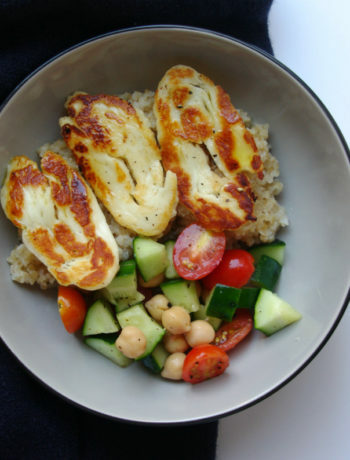 Eat it with a warm pita and some hummus!